WBC - Klitschko, Guerrero, Marquez, More! WBC – Klitschko, Guerrero, Marquez, More! During the past two weeks a series of news stories have come from great warriors of the ring announcing their retirement from boxing. So many stories, memories, and glory moments came from these heroes of the ring. Just as they began to box as kids with dreams to capture glory, they all now stand tall with the praise of millions all over the world for their accomplishments. Japanese champions Takashi Uchiyama and Takashi Miura announced their retirement, representing Teiken Promotions. Miura conquered the WBC super featherweight green and gold, lost his title in the 2015 Fight of the Year to Francisco Vargas, then won a final elimination in a dramatic fight versus Micky Roman, and recently lost to WBC champion Miguel Berchelt. Robert “The Ghost” Guerrero has retired – a former WBC welterweight champion and a true role model to the youth has decided to hang up the gloves. Robert has fought inside the ring for many years, as well as outside the ring with exemplary dedication to the care of his wife. A true champion of life. Timothy Bradley is now retired. He was a two-time WBC Youth champion, and then went on to win the WBC super lightweight crown twice. Juan Manuel Marquez has also taken the decision to retire. After three years of thinking whether to continue fighting, he has made the right decision. A hero in Mexico and many parts of the world, he has money and a beautiful family, works for ESPN, and has the recognition of the fans as one of the greatest champions from Mexico. His legendary knockout over Manny Pacquiao will live on forever in the memories of all as one of the greatest sports moments for Mexican athletes . Wladimir Klitschko surprised the world with the announcement of his retirement a few days ago. While everyone was expecting the announcement of a rematch versus Anthony Joshua, Wladimir has also made the greatest decision of his life. Wladimir, the brother of Vitaly, will be remembered as a legendary champion. The Klitschko brothers dominated the heavyweight division for more than a decade, and the only reason Wladimir was not ever a WBC champion was because it was Vitaly, his dear brother, who was WBC champion . Klitschko gave the world one of the greatest heavyweight fights in many years, and it marked the end of his career as he can retire with pride after such a tremendous performance against young star Anthony Joshua. Just as these heroes move on their lives, the new generation is moving in to give boxing fans a new era of excitement. Boxing is going through a great moment, and history is in the making. There are so many great champions, many great fights, and many new tournaments and formats . Sadly, there are still some dangerous practices happening in some areas of the world, and we need to take actions for them to be abolished. A few days ago, Geysi Lorenzo died in the Dominican Republic. His case is dramatic. Lorenzo fought twice in 72 hours, the last one being the last of his life as he was knocked out in the first round. He was also knocked out just two days before that, and had lost 18 of his last 19 fights. He had also suffered a motorcycle accident two weeks before his passing away. Everyone in boxing must fight against these common practices. Promoters, matchmakers, trainers, managers, boxing commissions, media, family members, we must all understand that there is no fight worth the life of any fighter, and work towards eradicating any mismatch, report wrongdoings, and report accidents. We must take care of our heroes of the ring! 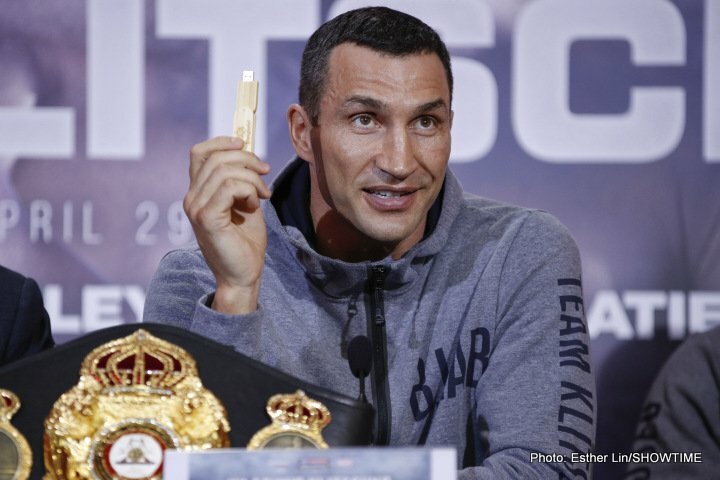 Boxing » Press News » WBC – Klitschko, Guerrero, Marquez, More!